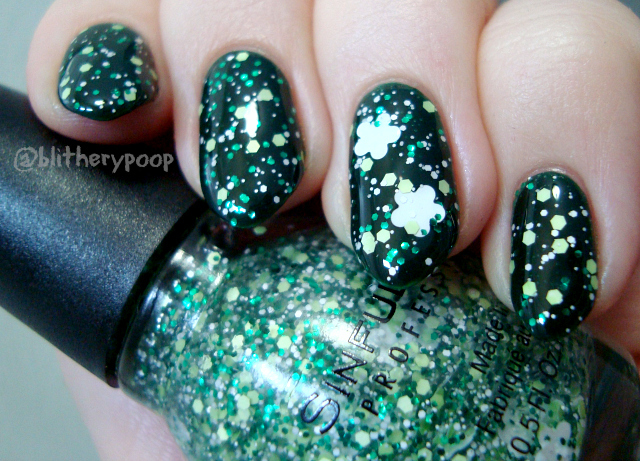 Shamrockin' has a blend of white and green glitter, including large white flowers, in a clear base. Something about Shamrockin' really...works. I don't quite get what, but I think it's the teeny tiny white glitter. The more complex a glitter mix is, the more I tend to like it. 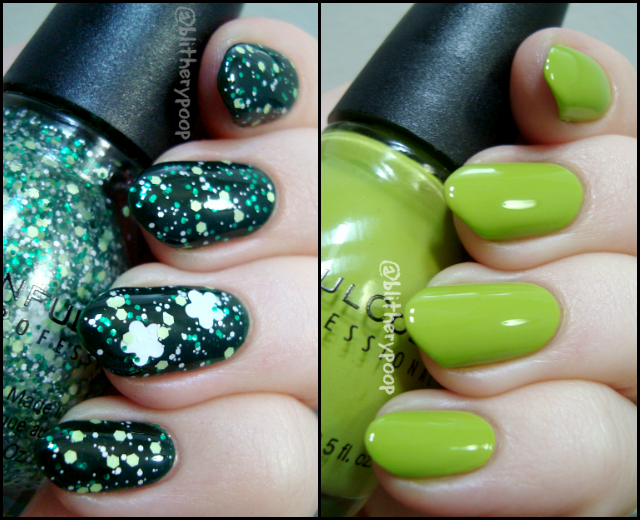 Shamrockin' has glitter in three colors, three sizes, and two finishes before you even count the flowers. The flowers only sorta count anyway. This one's a real fishing trip. The smaller glitter needs a little placing, but it's really tough to get the flowers out at all. That's not a complaint. I'd have liked it just as much if there weren't any flowers at all, but I do like the look of the two I fished out and placed. Did anyone else notice that this shade has pretty much the same name as last year's St. Pat's display? Weird. The other shades are all repromotes. This is the one that started it all for me. It was my gateway "ugly" green. I bought it just to swatch, but was stunned when I actually liked it. My original swatch photo sucked out loud though, and I'd been waiting for an excuse to reswatch. Fell in love all over again! Gorgeous! This time around I used two coats instead of one, but it's on that border line. The formula's among their best, creamy and effortless. Bottom line: Shamrockin' is a surprising win and the repromotes are all good too. Great lineup this year! My swatch of All About You reeeeally needs redoing, doesn't it? It's so old that my nails were squoval! Love it! Just wish this collection would hurry up and show up around here. all the colors are so pretty! The All About You version is different from the older! 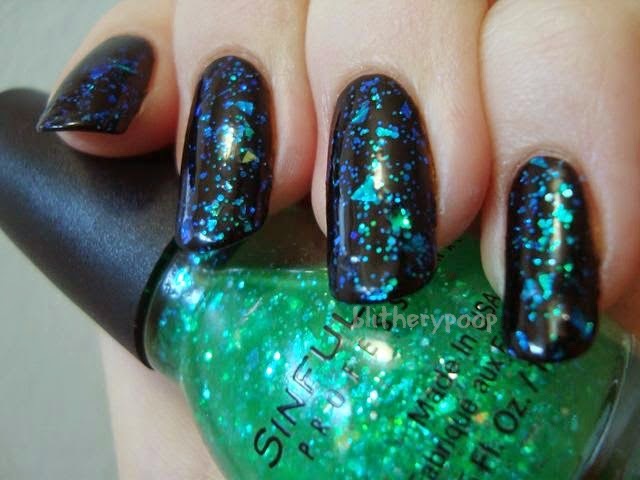 The older has a clear base with copper or red glitter mixed in. This new one has a goldish tinted base with only gold glitter. It almost looks orange in some lights. usually not a fan of green but love innocent! !